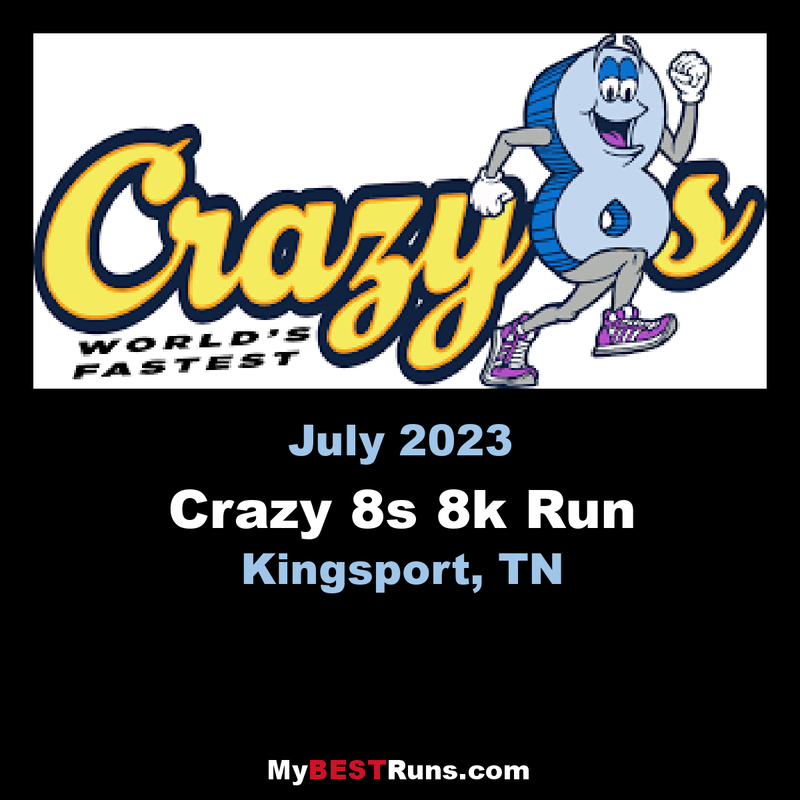 The Crazy 8s 8K Road Race was started by Hank Brown, him and his wife Natalie Whitlock started We Run Events, a nationally recognized timing company. They have been mentioned in Runner's World magazine for The Haunted Half Marathon in Kingsport, Tn, and bring invaluable experience to road racing. Living in a small area in Northeast Tennessee, runners are extremely lucky to have this special group. 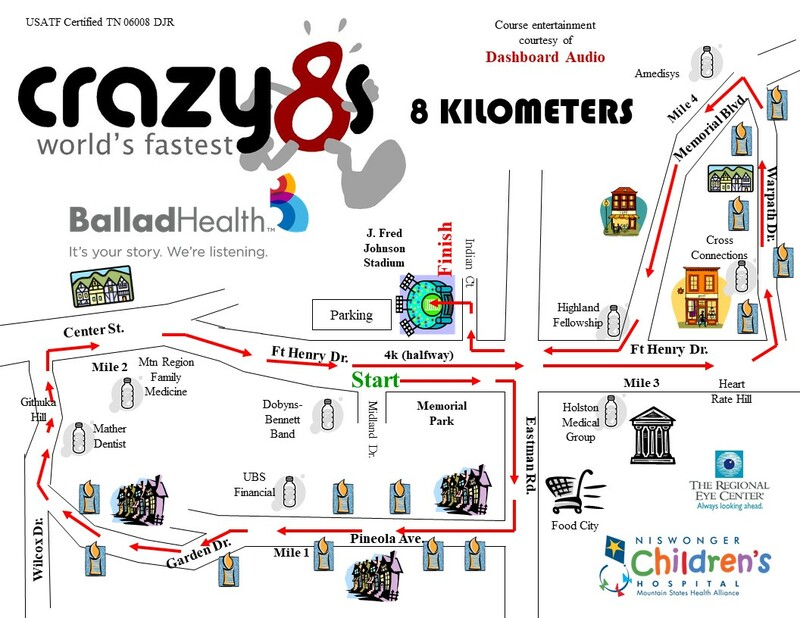 With Crazy 8s being an internationally known road race, over 4,000 runners come together, from various countries, big cities, and small communities, to enjoy the crowd, energetic atmosphere, and the overall ambience. Truly remarkable! 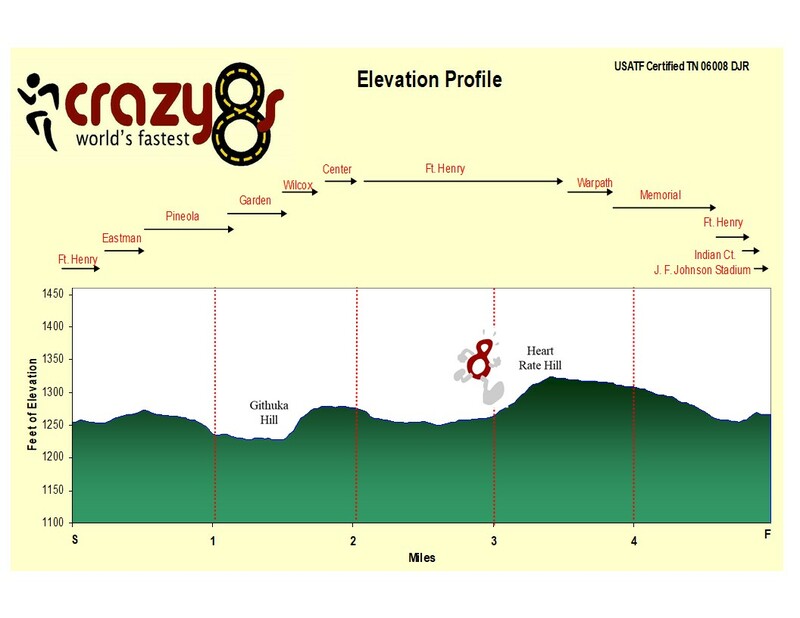 Crazy 8s is world-renowned for its unique figure-8 course, with candle-lit streets, and thrilling stadium finish. Huge crowds gather along the course to cheer for the runners. In 1996, Peter Githuka from Kenya set a new 8K World Record at Crazy 8’s with a time of 22:03. Asmae Leghzaoui of Morocco broke the women’s world record in 2002 in 24:28. The mens 8K record was broken in 2014 but the womens’ record still stands. The Regional Eye Center offers a $10,008 bonus for the first man to break the existing world record. Michelob Ultra sponsors the $5,000 Dash For The Gold to the first male to cross the finish line in the 8K Run.